FREE MB. Probably the two magical words capable of drawing the attention of any smartphone owner with a data plan. 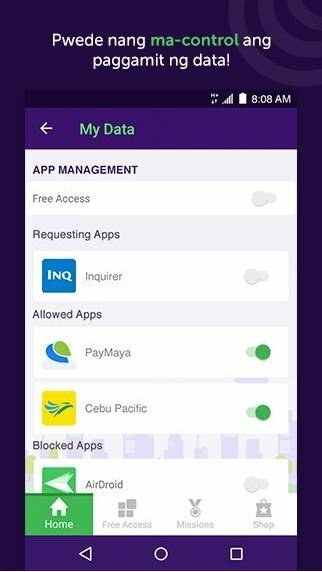 Even nowadays, the mobile Internet still isn't available at its full all over the planet although some users are used to receiving a signal on the underground. 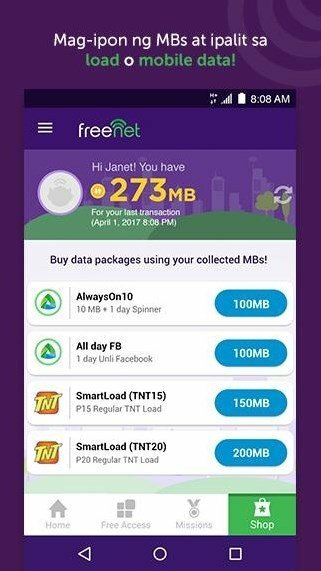 In India, for instance, having a decent data plan is still expensive and that's why apps of the likes of freenet - The Free Internet are very popular (the over-population also hinders the performance of telephone lines at rush hours). 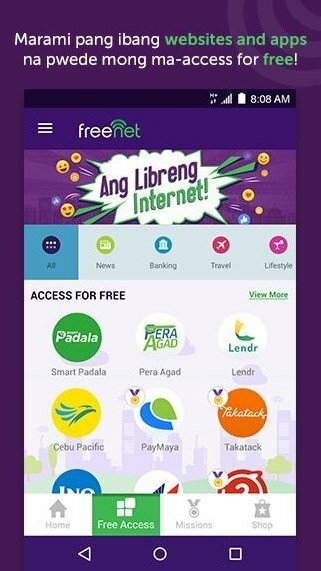 This app grants its users access to services from different companies that offer free MB for using certain kinds of promotional applications or carrying out certain actions such as visiting links or watching advertising videos. 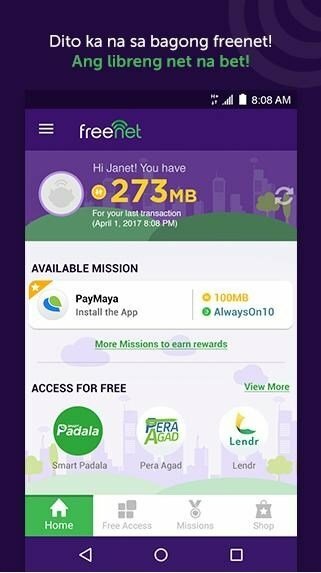 Shows our favorite services to obtain free MBs on our home screen. Includes a data control tool to enable or disable them according to our needs in order not waste any MB. The app includes several 'Missions' that we have to complete to receive packs of MB (usually 150 MB each one). 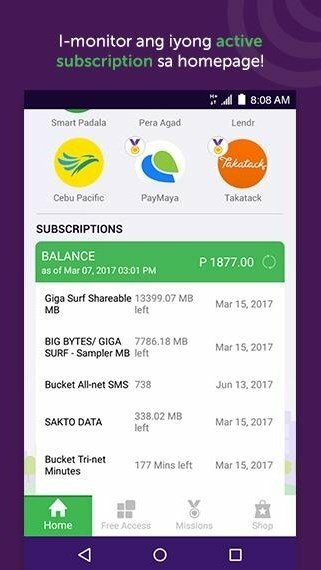 Shows a list of applications that we can install on our device to earn more MB. 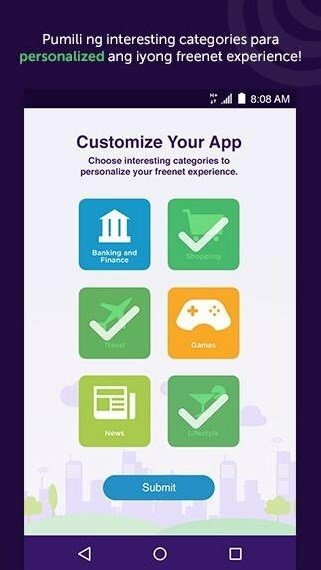 If you live in India, downloading this application in APK format will allow you to increase your data plan considerably without spending any more money provided that you're a customer of a carrier of the likes of Smart, Sun or TNT.